Welcome to Unicorn Healing (R) Meditations, a unique collection of energetic transmissions to help you expand your vibration and attune to your Unicorn guides. This CD contains six sacred attunements based on the meditations that Calista uses in her workshops and retreats. With Calista as your guide, you will be immersed in the meditations and learn incredible transformative techniques to accelerate your ascension, as well as how to: * enhance your intuitive powers * meet your personal Pegasus guide * attune to the Diamond Ray * receive etheric horns of Light. 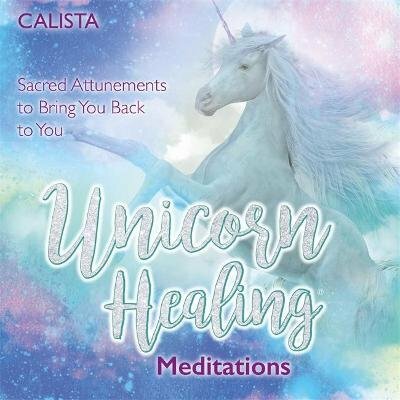 Through these powerful meditations, you will begin to channel the Unicorns' healing energy and dissolve barriers to fully love yourself.